April is Stress Awareness Month. Stress is something that affects a large majority of the population. According to the Stress in America study done by the American Psychological Association (APA), nearly 70% of Americans experience physical and mental symptoms of stress. When stress begins to build, it can affect concentration, mood, sleep, health and even relationships. When left untreated, long term stress can cause even more serious health problems like stroke or heart disease. Allow for a more customizable work schedule. Long commutes, public transportation, getting the kids to school - all of these can contribute to added stress for employees who are trying to make it to work on time. Starting your shift with elevated stress levels is not a great way to begin your work day. Offering employees more flexible schedule options - or scheduling them to work hours that more realistically fit their availability, - can help reduce their stress so that they can come into the workplace more relaxed and ready to work. Encourage employees to go outside. Just being outside can help reduce your stress levels significantly. Fresh air and sunshine, even for just a few minutes, can reset your whole mood. Depending on your worksite, you may be able to set up a patio area where employees can take their lunches or breaks outdoors. Offer healthy snacks in the workplace. Certain foods have been shown to help reduce stress; vitamin B is often linked to improving mental health, magnesium can help regulate serotonin levels and omega-3s have been said to reduce symptoms of anxiety and depression. Stock up on foods like nuts and seeds, whole grains, berries, bananas and yogurt to give employees healthy, stress-busting options to snack on. Improve workplace communication. Poor communication, or lack of communication is often a source of stress for employees. It can cause tension and fear in employees, can lead to missed deadlines or appointments and can cause work to have to be redone after being done improperly. Employers can help improve communication by giving clear and defined expectations to employees and offering frequent feedback. Having an open-door policy in which employees feel comfortable asking questions can help reduce miscommunications and stress. Have a zero tolerance bullying or harassment policy. 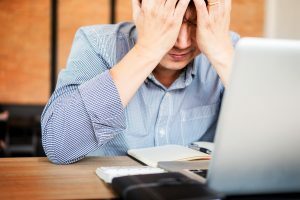 Harassment and bullying among employees can come in many forms and can have serious negative effects on an employee’s mental, emotional and physical health. The stress of being bullied or harassed in the workplace can lead to a decline in the employee’s quality of work, excessive absences or quitting, or even a lawsuit against the employer. Employers should have a very clear stance against workplace bullying and harassment, so that all employees know upfront which behaviors will not be tolerated and what the consequences of not following these expectations would be.